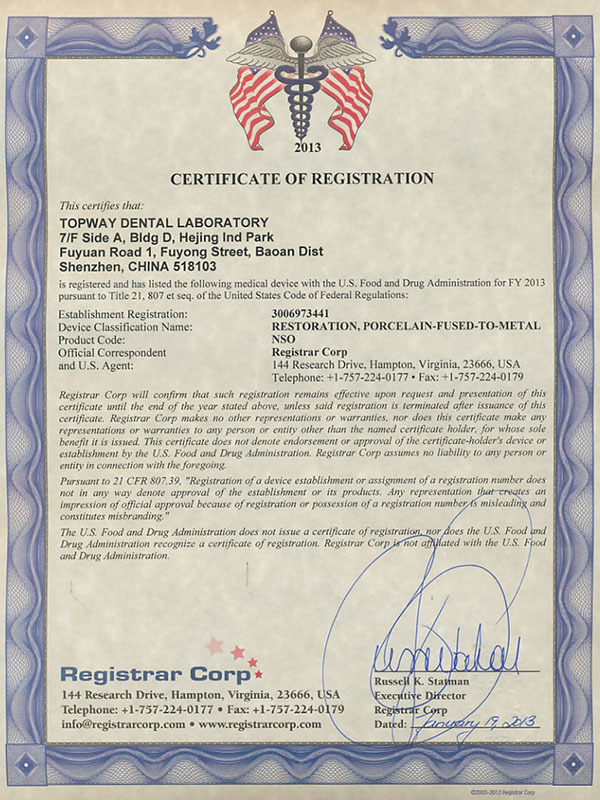 Topway Dental lab is a professional outsourcing dental lab since 2006. 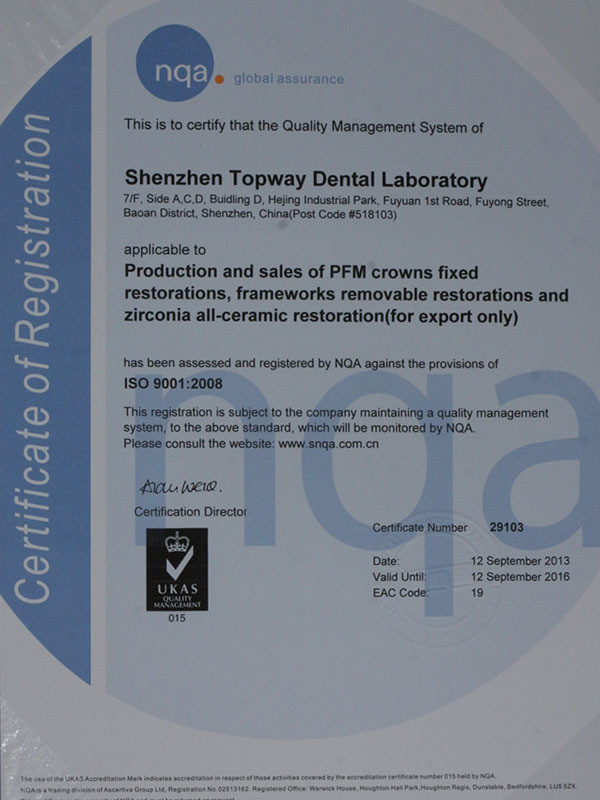 Topway dental lab registered with US FDA and implement a quality management system that is certified under ISO 9001:2015 and ISO 13485:2012. You can be assured that all of your cases are made by FDA registered and CE certificated safe materials. With years of outsourcing experience to dental labs and clinics all around the world. We believe that not only the life-like aesthetics nature appearance but also the perfect fit, contact and excellent occlusion plus always on time delivery makes us one of the most competitive dental lab in China. Now we are dedicated to provide you the most reliable quality dental restorations and orthodontic devices. Founded in Xili, Shenzhen City. Only service for one dental group in Phoenix city of US. Try to service for more dental lab and clinics around the world. Developing a useful dental lab management style and expand. Start to use 3D print technic for model and metal product. 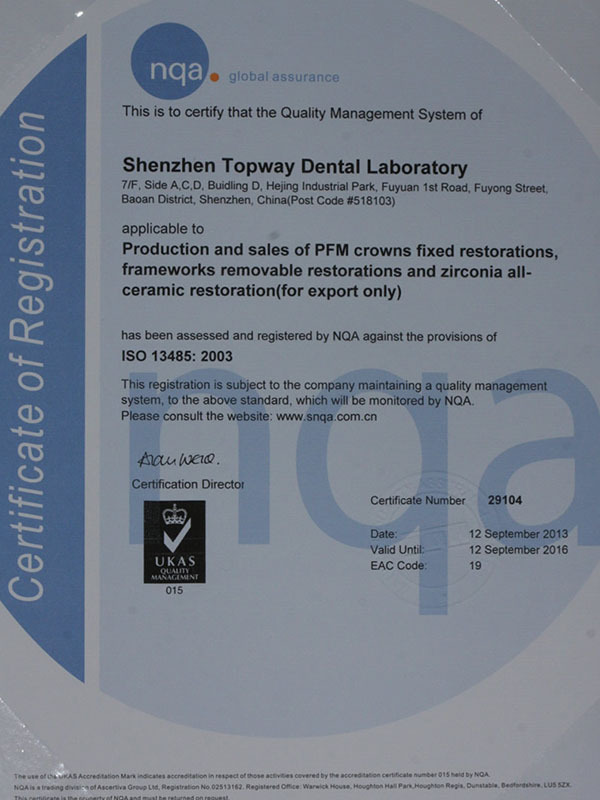 Start Topway HK Dental Lab Co.,ltd and Topway Internetional Digital Milling Center. Set up a new lab for Finnest request clients——smaller order but really high request on quality and willing to pay. In order to assure you and your clients a peace of mind, if any case made in Topway Dental Lab is unsatisfactory for any reason during the term of this warranty, we will repair or remake a new one without charge unconditionally as soon as we received the problem case. Exceptions: Our repair or remake policy will be invalid if ever a case that we could not guarantee the quality and you insist on proceeding anyway after we had told you the reason and adviced you taking a new impression or try-in first.